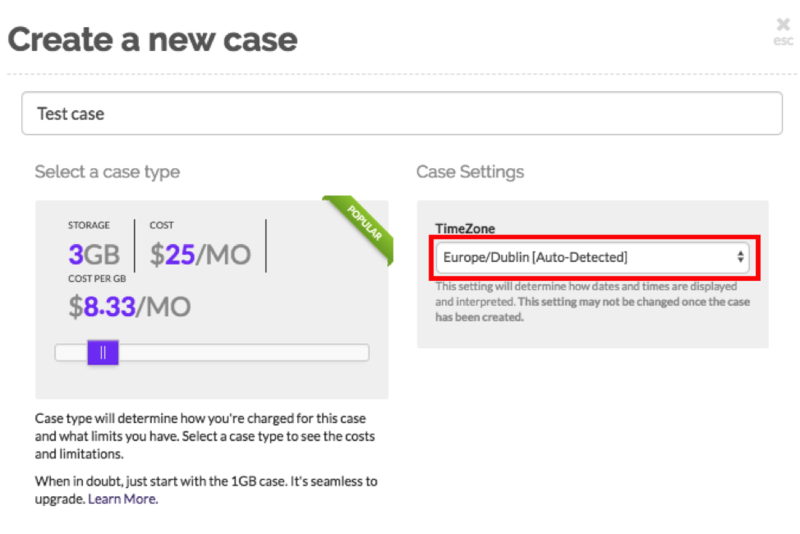 The timestamps on your eDiscovery data vary depending on your time zone. Which confuses things when you’re working with partners in different countries. The solution? 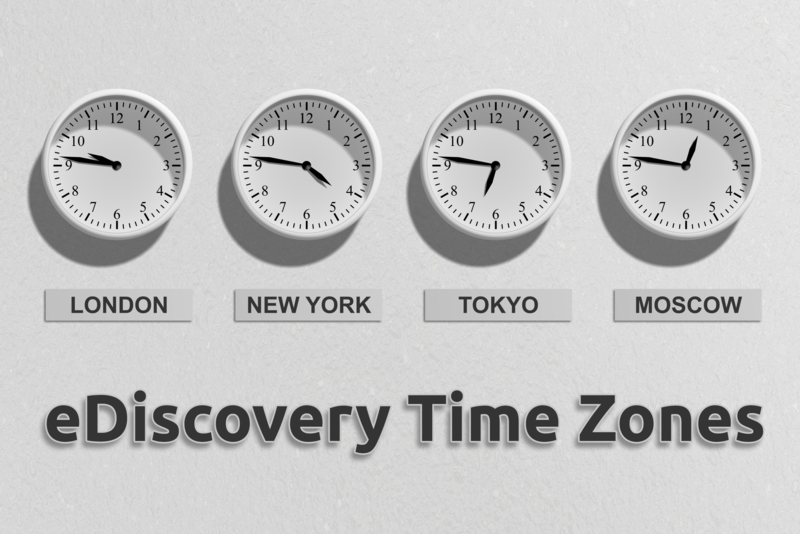 eDiscovery software that links times in your cases to your local time zone. Many small law firms now collaborate across national boundaries. It’s inevitable in an increasingly globalized world. So, how does a firm in New Zealand or Australia, for example, collaborate with their partners in Hong Kong or Switzerland? Well, it’s through cloud eDiscovery. Here, eDiscovery data is stored on cloud servers. Which means you can access it from anywhere. So, partner law firms in, say, Ireland and England, won’t have to each download the software and data. They’d just open their internet browsers, go to the eDiscovery website, and sign in. It’s the same as checking email. And the best eDiscovery providers will set up their software in your country’s Cloud-servers. So they can tweak their processes to follow your local eDiscovery best practices. And save you time and money by not shuttling data back-and-forth across regions. But with international eDiscovery comes the challenge of time zones. You and your global partners have different local times. And this affects the dates and times associated with your files, emails, eDiscovery reports, and load files. Metadata can help win cases. Providing an alibi: Your client says she was home at 8 PM. So, you check the metadata of a text message she sent. It confirms that she sent the message at 8:05 PM. And it’s even logged the phone’s GPS location at the time she sent the message. It shows she was indeed at home. Catching fraud: A partner at a large law firm sends your client a document he’s worked on. Out of curiosity she checks the document’s metadata and finds that it was an associate—not the partner—who worked on the document. And yet she was billed at a partner’s rate. The metadata catches the partner red handed. Metadata also helps keep a law firm running smoothly. It helps you keep track of who is looking at what files and when. And what they’ve been doing with those files. Which makes it so much easier to coordinate with your teammates. But, the ‘when’ of metadata is affected by time zones. For example, when an email is sent, that time is stamped on its metadata. But it’s stamped with your local time. Which confuses things for your partner in, say, Ireland, who is in a different time zone. Most eDiscovery applications use a default timestamp for all your data. So, for example, your eDiscovery software will display dates according to US Central Standard Time - CST (UTC -6:00). Instead, your application should be able to detect where (geographically) your web browser is. And modify timestamps for browsers in different time zones. So when you and your Irish partner are looking at emails, you see them stamped with your time and she sees them stamped with hers. Can eDiscovery applications do this? In GoldFynch’s ‘case Settings,’ choose your time zone by clicking on the drop-down box and picking out your country. It was designed specifically for small law firms like yours. So, it’s easy to use and affordable.